Sea creatures continue to fascinate people all over the world with their unique adaptability. These magnificent sea animals have bodies perfectly shaped to thrive and survive in the Earth’s oceans and seas. They respond better to their environmental requirements because they have a hydrodynamic form with little understood sensory abilities, complex communication systems and the ability to survive despite human impact on their habitat. Recent documentaries have unveiled their social skills which have been exploited to some extent by the military. Dolphins, for example, are generally very friendly animals which amaze us by their learning and communicative capabilities. These sea animals and as well as whales and sharks are a leading example of perfect symbiosis with their surroundings which can lead the way for people to start building improved technology for ocean exploration. The whale is a marine mammal pertaining to the cetacea family which includes the blue whale and the humpback whale among many other species. They can live for an extensive period of up to 100 years. Whales feed on microscopic plankton which they can filter from sea water through their mouth plates and on krill from the Arctic Ocean. Toothed whales can eat fish and squid. To find their prey they have developed a very smart sound system called echolocation. Whales emit sound signals which reach animals and receive an echo signal from the animal touched by sound waves. This echo enables whales to determine the position of the next meal. The shark is a fish with a cartilaginous skeleton which has inhabited the seas since the time of dinosaurs. Shark species include the great white, the tiger shark, the hammerhead shark and many other. The shark has a predator structure with powerful jaws, sharp teeth and streamlined body with a durable skeleton. It feeds on fish, marine mammals and other types of marine food. The dolphin is a marine mammal related to whale. They are social and smart animals which have extensive learning capabilities. The dolphin feeds on fish and squid. Species include the spotted dolphin, the bottlenose dolphin. The whale can be found in all oceans over the world. The shark is traceable in all seas and usually inhabits the sea section between 2,000 and 3,000 meters (6,500 to 9,800 feet) deep. The dolphin can be found in all seas mostly near the coastline in shallow water. 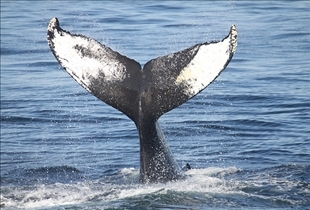 A whale can reach up to 35 m (115 ft.) and weigh over 100 tons. A shark can reach up to 6 m (20 ft.) and weigh up to 1,900kg (4,200 lbs.). A dolphin can reach up to 9.5 m (30 ft.) and weigh up to 10 tons. The whale and dolphin are related marine mammal species, while the shark is a fish. Whales can be found in all seas just like dolphins and sharks. 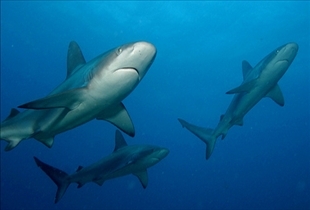 Sharks prefer deeper water, while dolphins are traceable in shallow water. The whale is bigger in size and weight than the shark and the dolphin. Whales, dolphins and some shark populations are suffering due to over fishing and inadequate protection from illegal poachers. Military sonar has caused untold damage to these creatures as they live by use of their own sonar capabilities and can be damaged by artificial weaponry bases on sonar. Garbage in the oceans may be a key reason why some dead whales and dolphins have tested at high rates of poison by weight. Human garbage dumps in the oceans is problem which needs to be addressed and solved for our posterity as well as for the ocean’s inhabitants. Which ocean creature is most playful? Great comparison. I really like the way you put this article together. My thoughts go to killer whales because of their very social lifestyles and hunting methods. Crocodile vs. Alligator: How are they different? Jersey vs. Holstein Cow: What's the difference? African vs. Asian Elephants: How are they different?